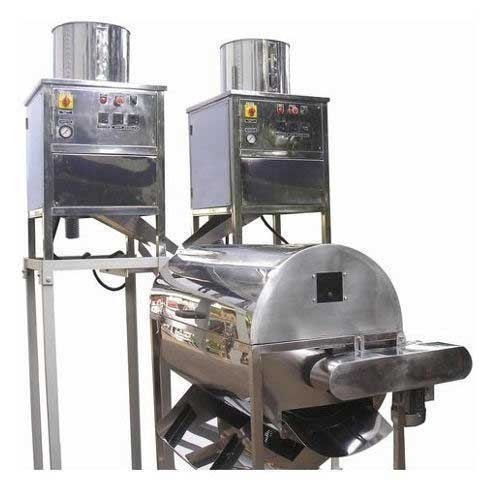 Cashew Peeling Machine is an automatic type of peeling machine for cashew kernels . The function is removing the skin of cashew kernels after shelling and with a law broken ratio. Springs, Dies Springs, Dies and Mould Accessories.Some of the products comprising our range include Die Set With Pillar, Ball Plungers, Extractable Dowel Pin, Ball Bearing Cages, Brass and Aluminum Ball Cages and Ejector Pins With Straight Head, Cushion Pins, Ejector Sleeves, Guide Pillar, Mould Date Indicator,manufactured in accordance with the predetermined quality guidelines, these have redefined industry standards in terms of durability, reliability and performance. Banking upon our sprawling infrastructure set-up, we have displayed our competency to produce products in large capacity, whilst meeting bulk requirements of our clients. Owing to the expertise and adroitness of our team members, we have carved a distinguished position amongst our business counterparts. In addition to this, since quality is the mainstay of all the activities of our organization, we have adopted stringent measures and have employed competent quality control professionals in our workforce. Furthermore, to maximize client satisfaction, we have eased monetary transactions for them with varied payment modes and terms.